There are not that many woodland plants that flower later in the year, and most of the ones that do are more woodland margin plants, not found in the depths of the wood. 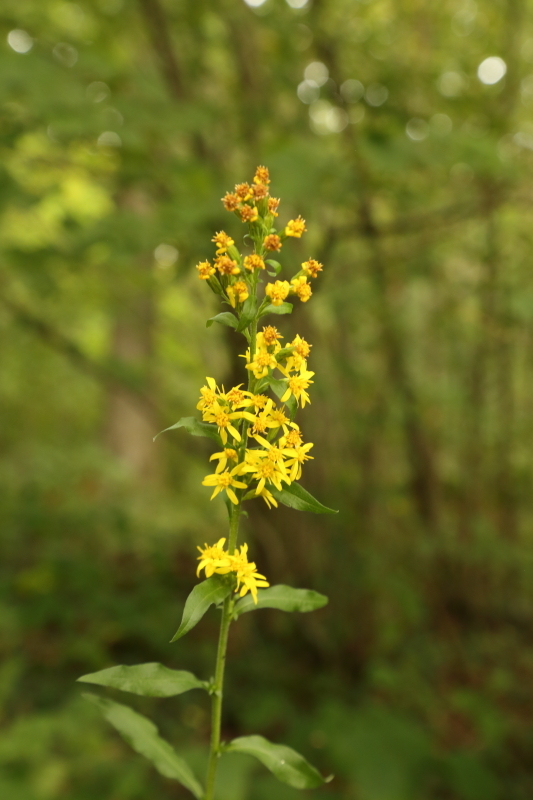 The European Golden rod is such a plant it grows on the edges of the woods. This one I spotted in a woodland near Bigsweir bridge over the river Wye, There were only a few individuals and none of them were particularly large. How different to the giant specimens which are part of the traditional English garden. My father used to grow these and as a small boy they seemed quite enormous to me, though they were probably only about 4 or 5 feet tall. He also used to grow Michaelmas daisy and these were generally a bit smaller than the Golden rods but both flowered at roughly the same time which was late summer/early autumn. They were very good at attracting the butterflies which appealed to me as back in those days I have to confess I did collect butterflies and moths. I suspect everyone who was interested in nature back in the 1960’s collected something…. I was not much into egg collecting, but I was quite partial to a nice moth or butterfly. Anyway back to the golden rod, the smaller wild species also flowers in the late Summer and early Autumn, the ones I photographed were in flower on 24th of August 2016. They are members of the Aster family and produce typical compositae flowers or daisy type flowers with a circle of ray florets ( what are commonly referred to as the petals) and these surround a central group of disc florets. both ray and disc florets are yellow, the ray florets are not particularly well developed so with a casual glance the flowers will just look like little yellow ‘bobbles’. I have seen comments on the internet where some people have confused these with Ragwort, which is similar but the leaves are quite different. 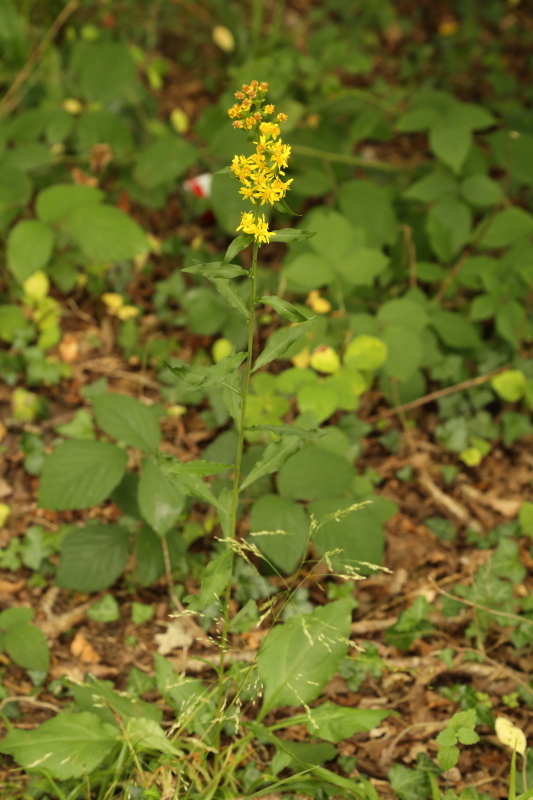 Below is one of the ‘garden’ species of Golden Rod, like the ones my Father grew. This beautiful plant was growing in a garden in Llandogo which is a pretty little vilage overlooking the River Wye, just up from Tintern Abbey.